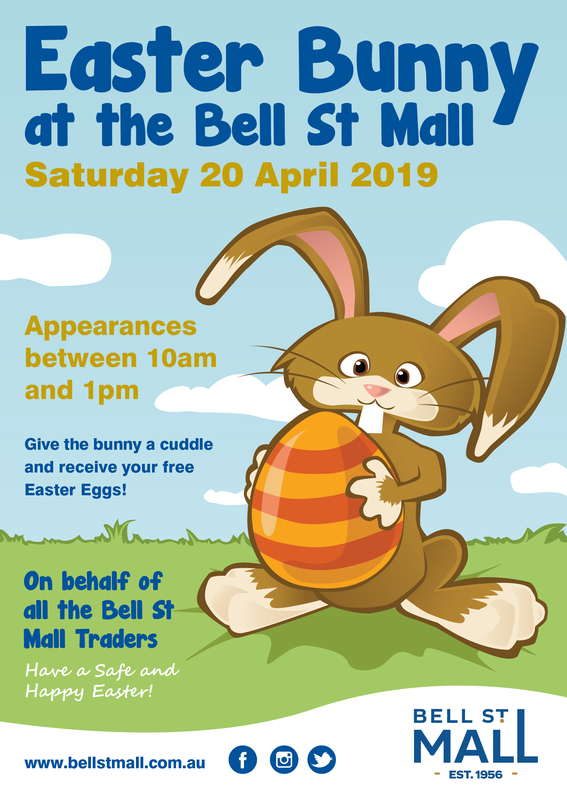 Give the bunny a cuddle and receive your free Easter Eggs! On behalf of all the Bell St Mall Traders have a Safe and Happy Easter! Visit our Facebook Event to register your interest, share with friends and receive up-to-date news regarding the event.